The migration of tropical fish as a result of ocean warming poses a serious threat to the temperate areas they invade, because they overgraze on kelp forests and seagrass meadows, a new study concludes. The harmful impact of tropical fish is most evident in southern Japanese waters and the eastern Mediterranean, where there have been dramatic declines in kelps. 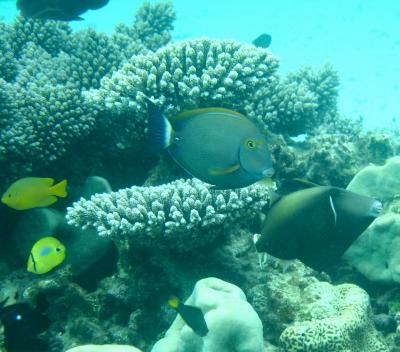 "The tropicalisation of temperate marine areas is a new phenomenon of global significance that has arisen because of climate change," says study lead author, Dr Adriana Verges, of UNSW Australia. "Increases in the number of plant-eating tropical fish can profoundly alter ecosystems and lead to barren reefs, affecting the biodiversity of these regions, with significant economic and management impacts." "In tropical regions, a wide diversity of plant-eating fish perform the vital role of keeping reefs free of large seaweeds, allowing corals to flourish. But when they intrude into temperate waters they pose a significant threat to these habitats. They can directly overgraze algal forests as well as prevent the recovery of algae that have been damaged for other reasons," says Dr Verges. More than 40 per cent of the kelp and algal beds have disappeared since the 1990s, a phenomenon known in Japan as isoyake. 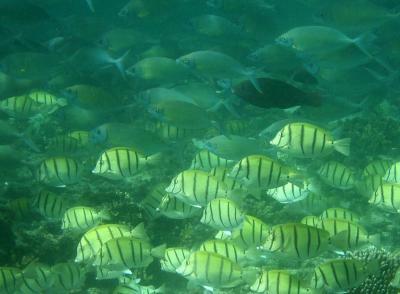 Tropical species including rabbitfish and parrotfish appear to be mainly responsible. There has been a more than 20-fold increase in the number of parrotfish in the Gulf of Mexico -- a species which consumes seagrass at five times the rate of native grazers. The number of plant-eating green turtles and manatees has also increased. In eastern Australia, kelp has disappeared from numerous reefs in the past 5 years and Dr Verges' research suggests intense grazing by tropical fish on the kelp preceded this.